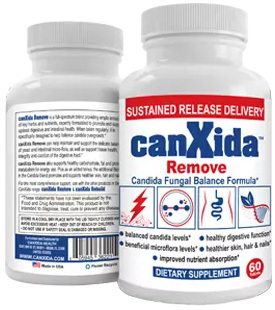 Candida Case Studies: Meet Sharon - YeastInfection.Org by Eric Bakker N.D.
July 7, 2013 by Eric Bakker N.D.
Sharon, age 43, contacted me almost two years ago seeking help with vaginal thrush which had been bothering her for over fifteen years. She had consulted several practitioners over the many years and received all types of advice. She had read one of my online articles and was desperate for a solution. One of the first things I ask patients like Sharon is this – “Are you willing to do whatever it takes to get well, or are you going to leave my room with the idea that you will just ‘give it a go’”. I knew that Sharon had what it takes to get the permanent solution she was seeking. You can see it in somebody’s eyes – that they have been through enough suffering. They know that there IS a solution, and by the time they visit me they are truly committed and are focused enough to stay on track. Sharon’s vaginal thrush was chronic and unremitting. She had a terrible itch that was embarrassing and just wouldn’t go away. Although the drug she was taking controlled the symptoms, it was just holding and she was at the stage of wanting to go onto something stronger or finally committing to getting rid of this thing once and for all. The problem was the recommendations given to her by other health-care professionals would only work for a few weeks at most and then the yeast infection would come back with a vengeance. Sharon is a coronary care nurse who works at a large hospital. Her husband is an experienced pilot who is frequently away overseas, flying big jets long haul between Asia and New Zealand. Sharon works several different shifts and frequently works long hours at unusual times, leading to sleep and energy issues. This in turn has resulted in her often skipping at least one meal per day and relying instead on foods from vending machines at the hospital. My concern here was the amount of processed food, including sugar, Sharon was consuming. By the time she came to my office looking for a permanent yeast solution, she had been taking Fluconazole (Diflucan) an unbelievable once per week for the past five years, which apparently was keeping the condition under control. My second concern was that when her husband was home, for short periods of time, they would engage in intimate relations quite frequently, which was a major cause of discomfort and aggravation for her. My third concern was that her diet and lifestyle were at fault and were in dire need of an overhaul if a permanent change in her yeast infection was to be affected. What Sharon and her doctor were blissfully unaware of was that she still had the primary complaint of vaginal thrush, but had in addition developed side effects from taking Diflucan for over a five year period each week. These side effects included low-grade nausea; pale colored stools and an annoying red skin rash around the tops of her thighs and upper back. She was prescribed a hydrocortisone cream for the skin rash and took an occasional laxative for the bouts of constipation she was getting regularly. Incredibly, she had learned to live with the nausea, just accepting it as a part of her life and was entirely unaware that it was a Fluconazole side effect. What a miserable life this lady had been living for the past few years, and her case is not that unusual. The primary complaint present but suppressed with a drug or cream applied regularly, inducing several side effects. So how did Sharon fare? What recommendations did I make? Our first consultation was for almost one and a half hours and we got a few things straight, particularly the point that something had to change if she wanted her vaginal yeast infection to eventually disappear forever. Remember that “definition of insanity” quote? Doing something over and over and expecting a different result? Have you memorized it yet? Sharon was ready to commit to change; and we agreed that she would only take day shifts for the next six to nine months while she worked on her recovery. She also promised herself that alcohol and regular snacking of chocolate, potato chips and junk would stop entirely until her discharge and itch were gone completely. Sharon started to use the Vaginal Implant Protocol and stayed with the Candida Crusher program recommendations for over six months. It was tough going the first month because I wanted her to go cold turkey on the Diflucan (Fluconazole). To her amazement, the nausea soon stopped and she became more committed than ever, especially once her skin and bowel cleared up after about six weeks into the treatment. I had monthly phone-call consultations with Sharon and noticed, as with many patients who are serious about getting well, her emotional state was improving with her physical health. Sharon was a delight to work with because she was ready to fully commit to change, and not only has she no more vaginal yeast infection, she has lost over forty pounds in weight and looks fantastic today! I wouldn’t trade my occupation for anything else, even after tens of thousands of patients and almost twenty-five years in the clinic. There is something special about the enjoyment you get from helping somebody go literally from a physical wreck on the scrapheap to somebody who is happy, healthy and ready to begin a new life. Are you ready to commit to permanently curing your infection? When you are ready, it will be worth it because like Sharon, your results can be as good as what she has experienced. Getting rid of a chronic health problem will give you a whole new lease of life.